Those of us that have kids know what it’s like to have your child get sick. You feel so bad for them all you want to do is help them to feel better. Either you or your spouse has to stay home from work to take care of your child and that is always a self-hate issue because you get upset that you are missing work but you also feel that nothing should matter more than your child being healthy. We all want our children to be healthy all the time. As parents we become concerned when our child show the slightest symptoms of sickness. As soon as one of my kids starts to get a runny nose or a cough I get to work. We all get sick but if you catch it early then you can get better a lot faster. I am very proud to say that by using herbal remedies and aromatherapy I have been successful in make sure that no one in my house hold has needed to take anti-biotic drugs in the last three years. I have three boys a five year old a three year old and a 9 month old. Those of you with children know that these are prime years for colds flues ear-infections and the like. It’s really not that complex. I used Herbs and essential oils as soon as i start to see symptoms and I give them to everyone in the family. I make herbal teas and cough syrup using herbs such as chamomile, Elder, Yarrow, Catnip, Licorice root and Echinacea. These are all herbs that work to regulate secretion of mucus, have anti-bacterial and anti-viral properties, anti-spasmodic properties and help to strengthen the immune system. I all so use steam inhalation and topical application of essential oils such as Eucalyptus, Raven Sara, Tea tree, Pine and Cedar wood. These Help to work as expectorants which help the lungs to dislodge mucus, are powerful anti-microbial and help reduce fever. I started using natural medicine with my first son when he was still under one year. 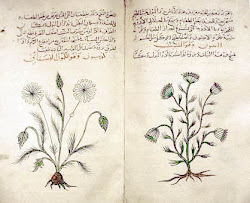 I was in my second year of school studying to be a practitioner of natural medicine and my son was sick a lot. To say the truth I was really discouraged then because I was unsuccessful in treating my son. But now after five years of experience treating children (my own and many others) for common ailments, I have found natural medicine to be much more effective then then conventional therapy.